FRESNO, Calif. -- A central California jail was examining security measures after an ex-convict shot and wounded two unarmed officers in the lobby, but officials said Sunday that they did not plan any immediate changes. Click here for information on how you can donate to the families of these officers. 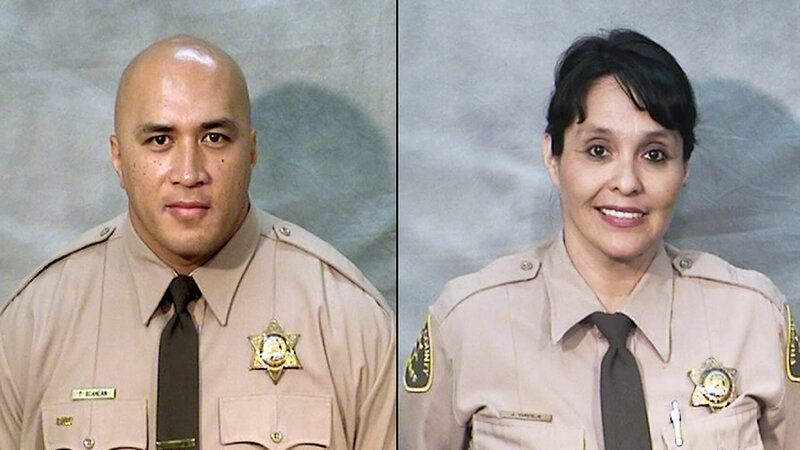 The Fresno Deputy Sheriff's Association is accepting donations to help the families of the officers injured. Click here for more information.